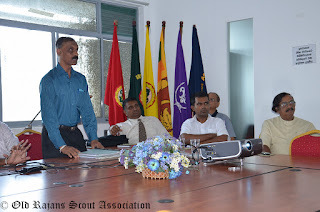 A meeting of top officials of Sri Lanka Scout Association with RISGO organizing committee held on 12th January 2013 at the Sri Lanka Scout Headquarters. 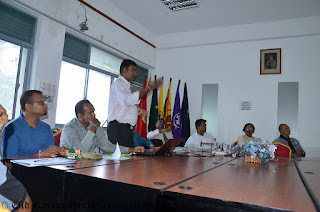 During the meeting RISGO officials presented the progress and the plan of RISGO 2013 to be held from 18th to 22nd of Feb 2013. Prof. Nimal De Silva, Chief Commissioner of Sri Lanka , Deputy Chief Commissioner Mr. Shiraz Salih , International Commissioner Mr.Janaprith Fernando were present at the meeting. Sri Lanka scout association team extended their fullest support towards the RISGO 2013 organizing committee.